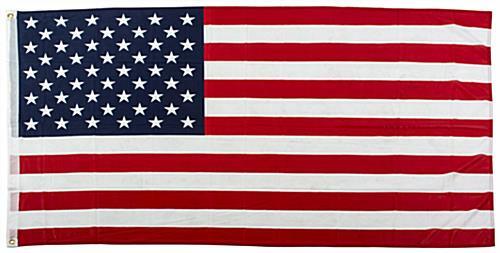 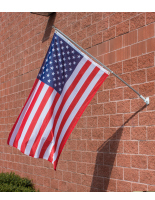 This 3’ x 5’ polyester flag is suitable for outdoor use due to brass grommets that keep the fabric from frays and tears. 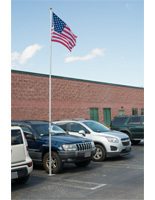 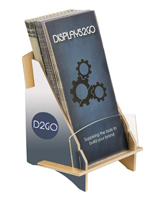 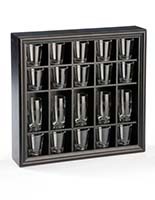 This American display attaches to a pole for commercial and residential purposes. 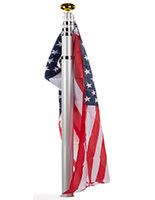 The delicate red hem lines at the edge of this polyester flag are a nice touch. 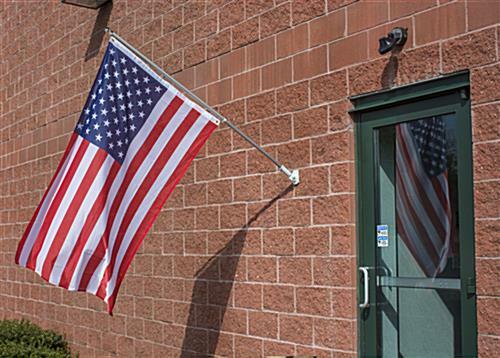 Pre-printed mesh fabric construction lowers the cost compared to cotton embroidered alternatives. 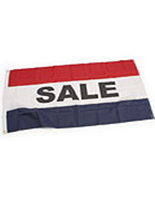 This USA emblem makes a great banner for July 4th holidays as well as daily store advertising and home decor.